Moose’s true passion has always been and remains photographing the life history of our endangered wildlife and wild places. Since 1981 he and his wife Sharon have dedicated their lives to this pursuit. Educating the public about our wild heritage is their hallmark. In recent years Moose has added aviation photography to his pursuits with the same goal of preserving our flying history, pictorially and orally for future generations. Along the way Moose has been honored for his photographic passion: as a Nikon Legend Behind the Lens, Lexar Elite Photographer, recipient of the John Muir Conservation Award, and Research Associate with the Endangered Species Recovery Program, just to name a few. He was part of Epson’s Finish Strong ad campaign. Moose shares his knowledge through his writing, being published in over 133 magazines worldwide, author of 28 books including his latest, Photographic FUNdamentals, Taking Flight and the best seller Captured. He lectures across the country to thousands of photographers every year. 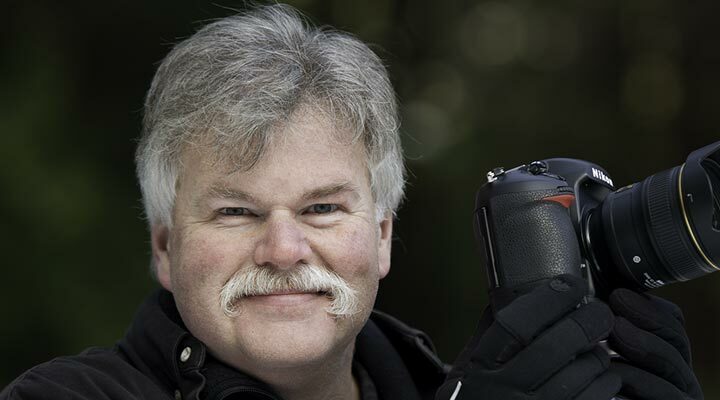 One of the original Nikon shooters to receive the D1 in 1999, Moose embraced this new technology, becoming the only wildlife photographer in the world to shoot strictly digital in the early years. While beta testing for all the major hardware and software manufacturers, Moose continues being a creative innovator of new techniques both behind the camera and the computer, which is the driving force behind his photography and goals. Moose’s true passion has always been and remains photographing the life history of our endangered wildlife and wild places. To see more of Moose's work, check out his websites/blogs at www.moosepeterson.com and www.warbirdimages.com. Follow him on social media: Facebook, Google+, Instagram and Twitter. Wildlife and aviation photographer Moose Peterson is a Nikon Ambassador. Learn more about his photography.